as always, laugh out loud funny. the “what are the odds” has a west texas version and that is the stores [and houses] that face west. not only does the door almost rip out your arm when trying to open it during the wind and dust storms [which are always from the west] but the summer afternoon sun is blazing through the floor to ceiling plate glass windows enough to make a gooey rotel dip in the window. many drive thru windows face west as the poor clerk tries to hand you things with a 40-70 mph wind in her face. obviously the floor plans were approved in new jersey. Asaparus IN wine…not so sure. Just hope they don’t come up with pork wine! There is no asparagus IN whine, but this sort of whine is good in combination with asparagus. 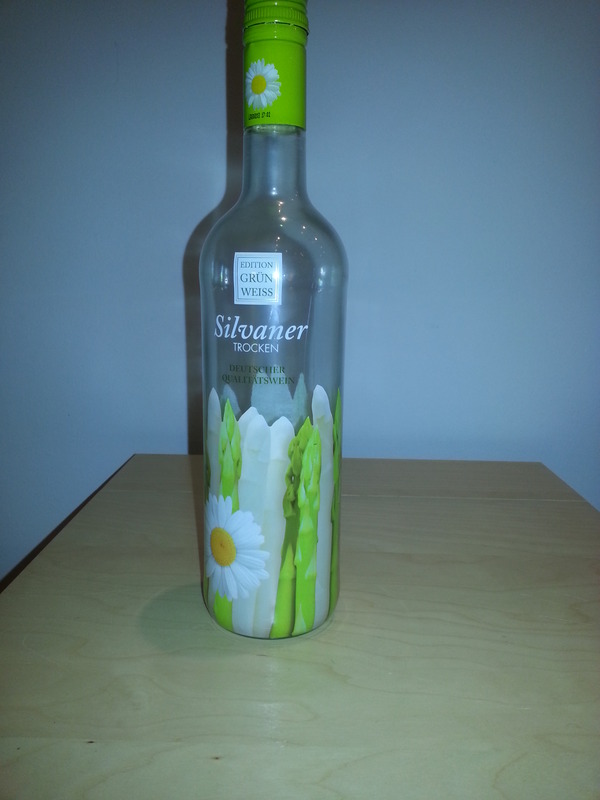 Silvaner is very light and tangy, perfect for the summer.